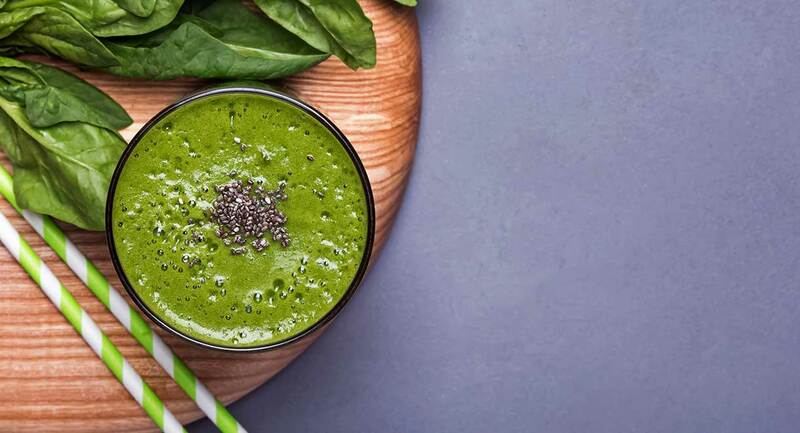 Nourish your body with this cleansing smoothie that only takes a few minutes to prepare. Place all ingredients except chia seeds into a powerful blender and blend until smooth. Stir in chia seeds and drink.